The truth is, every human being worships. We all put our trust in something, serve something, and hope in something. We can worship ourselves, our families, our careers as well as money, power, influence, or being thought well of. But when we worship things that are good but not God, it leaves us empty and frustrated. Jesus invites us to find rest for our souls in him (Matthew 11:28-29). 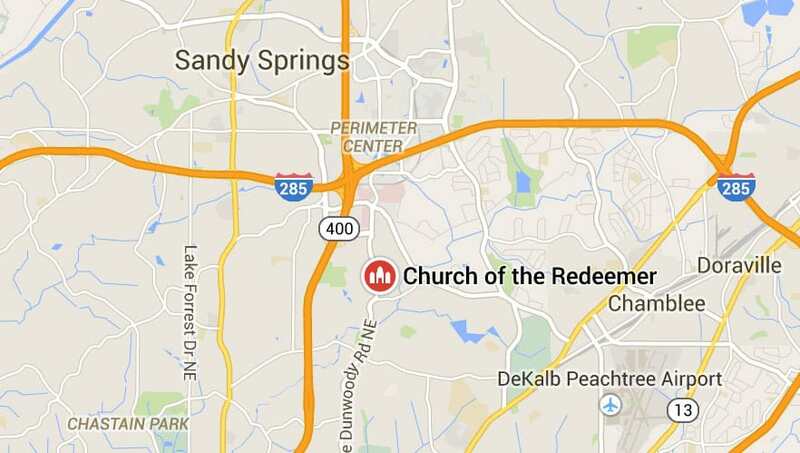 At Church of the Redeemer, we worship to redirect our affections to the only one who can satisfy them. Church is meant to be a place where people find God, whether you walk through the door as a believer or skeptic. So, expect to meet God! Our worship service is designed towards that end. You can also expect to be warmly greeted by friendly people, so please linger after the service. Children aged Pre-Kindergarten and older stay with us in the sanctuary for the first part of the service before being dismissed to the children’s ministry. Worship music at Redeemer is historically informed yet culturally relevant. We embrace the traditions of the past and combine them with the best of our modern age. Our services are lively, reverent, liturgical, and engaging. We serve the Lord’s Supper on the 2nd, 4th, and 5th Sundays of the month. On the intervening Sundays we have baptisms and shared stories from the congregation of the Lord’s work in their lives. We highly value prayer at Redeemer. We pray to communicate and discern God’s leadership. We rely on prayer to engage God in every aspect of our ministry so that he transforms us as we work and serve him. Our elders also regularly pray with and for those who are sick and struggling.